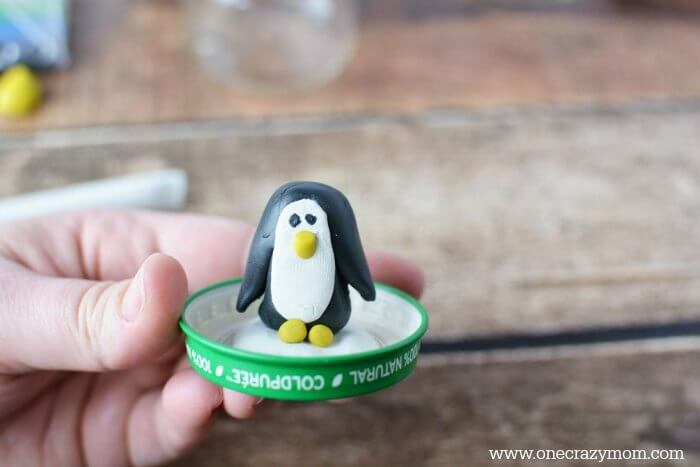 How to Make a Snow Globe - Make your own snow globe! There is something so magical about snow globes. They are simple yet stunning! As a child, I remember being mesmerized by watching the snow fall again and again! These little globes full of wonder and awe never get boring! 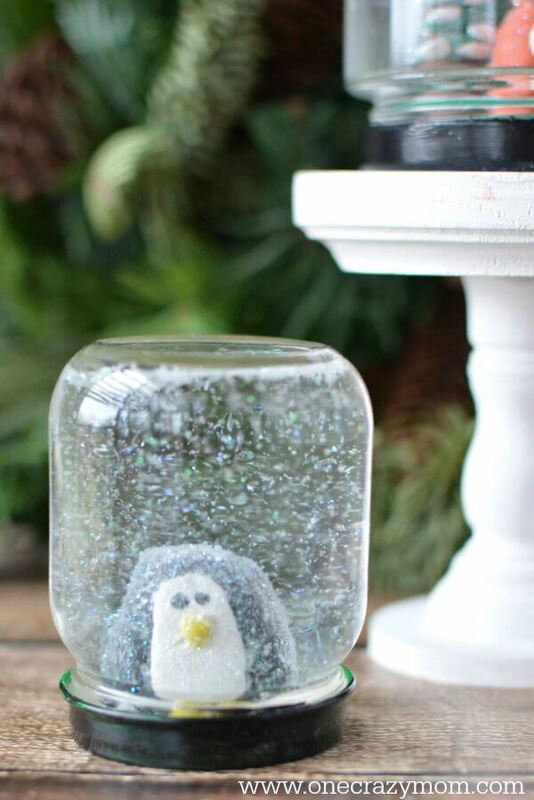 Whether you are a child or a kid at heart, everyone loves snow globes. 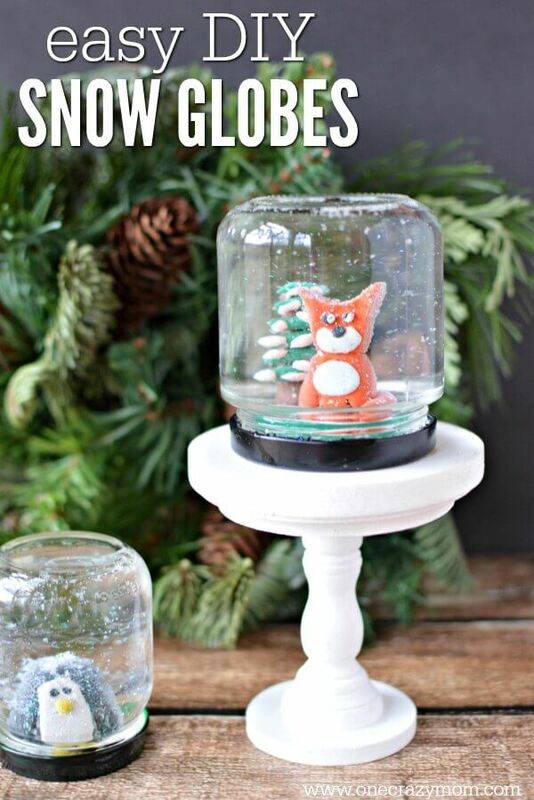 Today, you will learn how to make a snow globe! 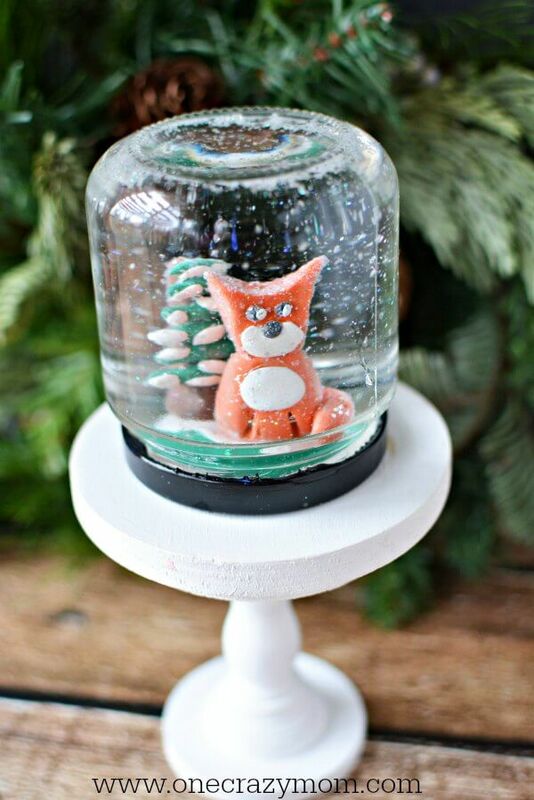 I promise you will love this snow globe craft and the memories you will make are going to be so special. 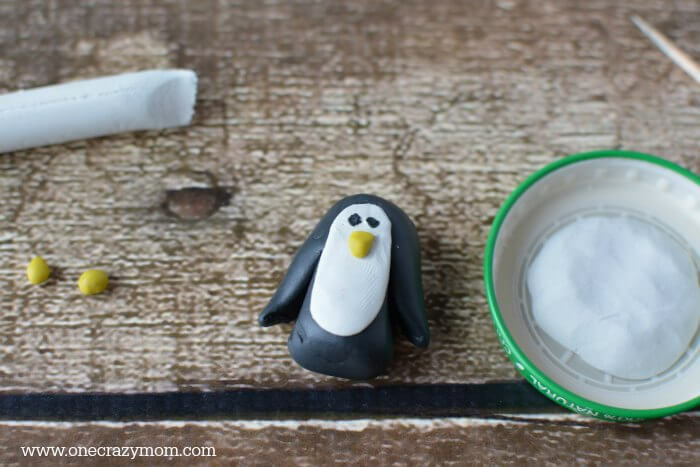 If you loved making the Sock Snowman Craft, you are sure to love this easy snow globe craft! 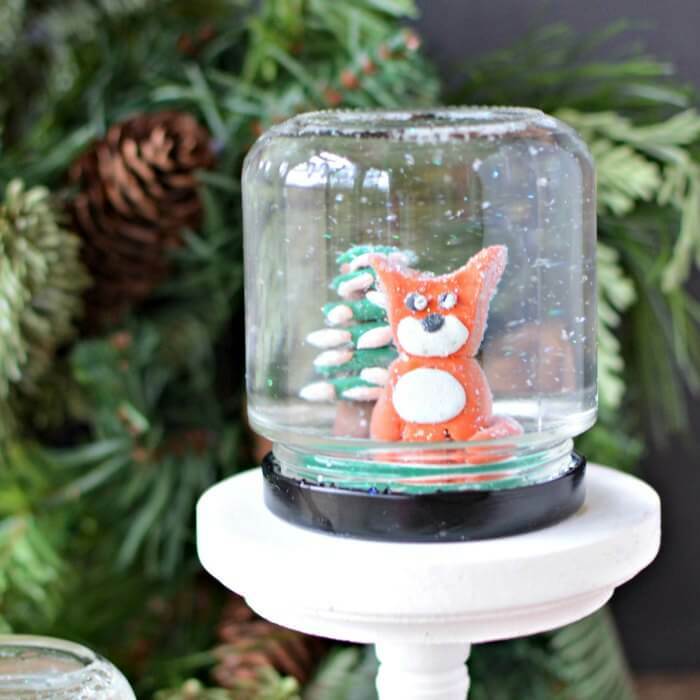 Gather the kids as we learn how to make this DIY Snow Globe! The really fun part of this craft is that each person can design their own globe. The centerpiece of the snow globe is made out of modeling clay. Each person can mold whatever shape they like in whatever color they choose. You will need small jars with lids. You might have these at home from leftover baby food jars, garlic or whatever you use. If you don’t, you can order some here. 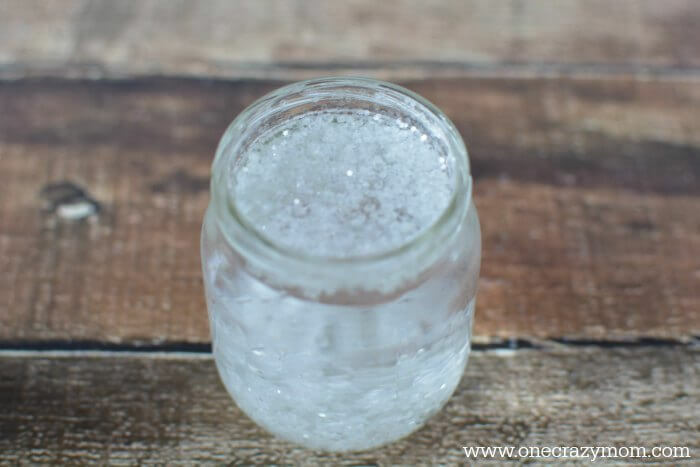 These jars are also good for diy sugar scrub so the jars will not go to waste if you buy several on Amazon. Also, another tip is to use fine glitter. Yes, you can use any glitter but the fine glitter really looks so much better when it is “snowing”. 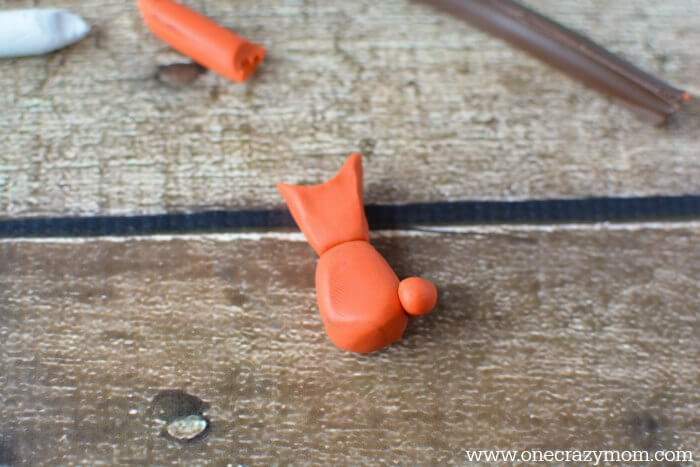 These are totally optional but very helpful for this craft! 1. 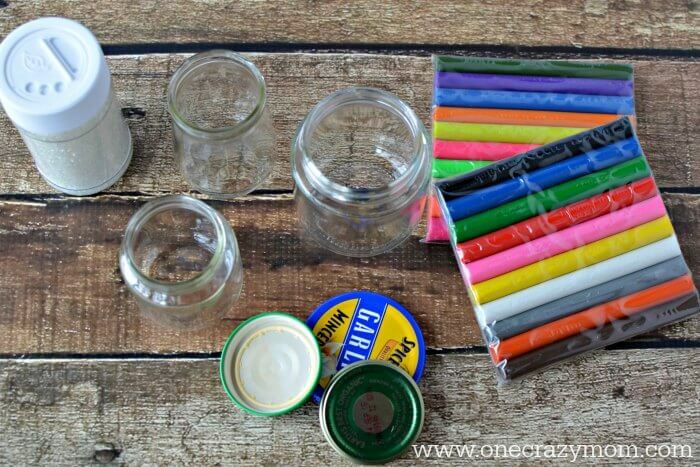 Remove all labels and glue/adhesive from jars. I find acetone works best for the sticky residue as well as any printed codes on the jars. 2. Wash jars and lids with warm, soapy water, rinse well and dry completely. 3. 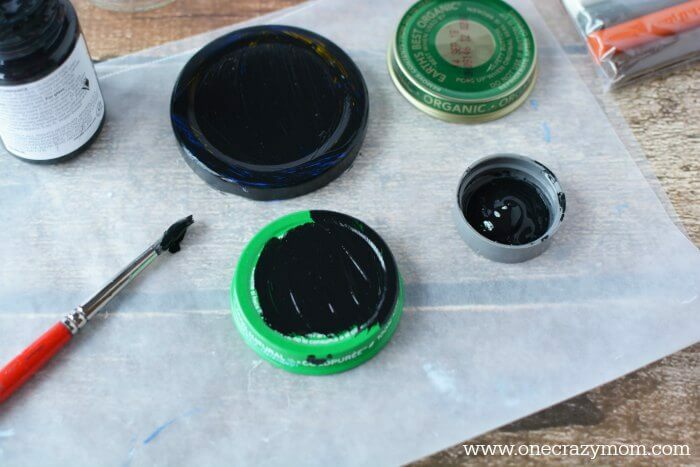 Paint jars with black acrylic paint, allowing to dry completely between coats. 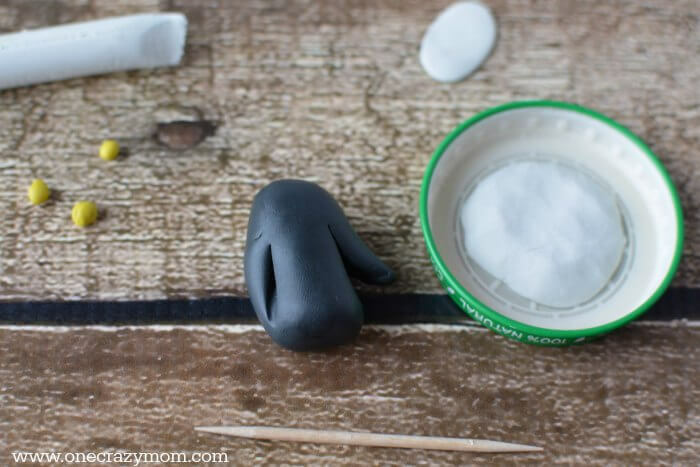 Shape clay onto the lid of the jar. Make sure you keep the base of the clay sculpture inside of where the rim screws on. 4. Add any animals or items you’d like. Secure by pressing firmly onto the lid. 5. 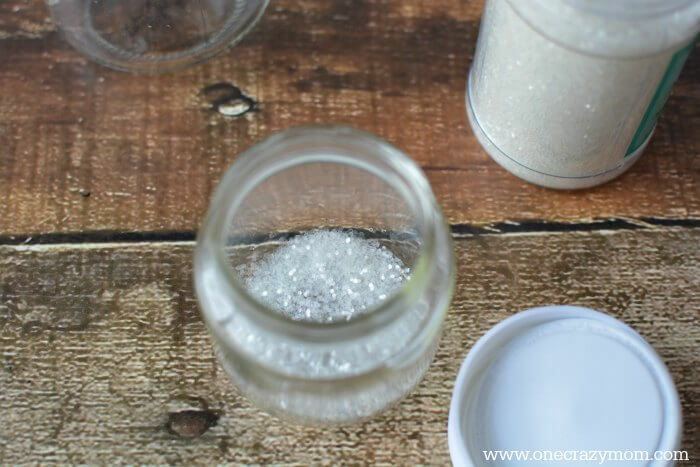 Fill the jar with glitter, making sure the bottom is just covered. Add water and fill almost completely. Place the lid onto the jar and twist tightly. Flip over and shake your jar and see your snow globe! Optional: Glue the jar lid onto the jars. 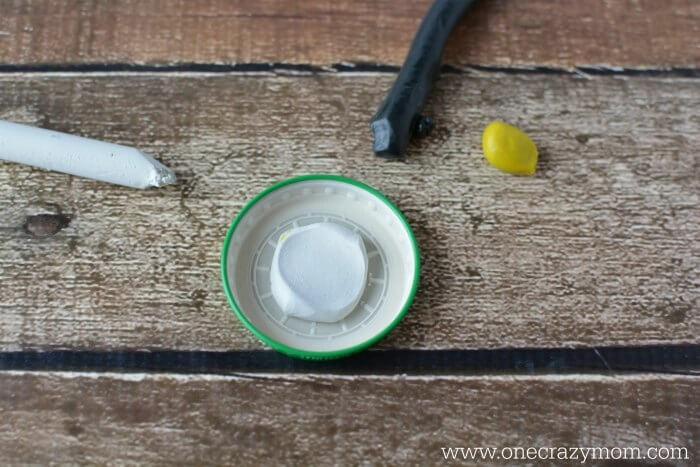 Before placing the lid on the jar, add a swipe of E6000 glue or epoxy to the rim of the jar. Twist the lid on and set overnight to set up. 1. Start with a black piece of clay and shape it into an oval. Flatten the bottom and sides. Use a toothpick to create wings. 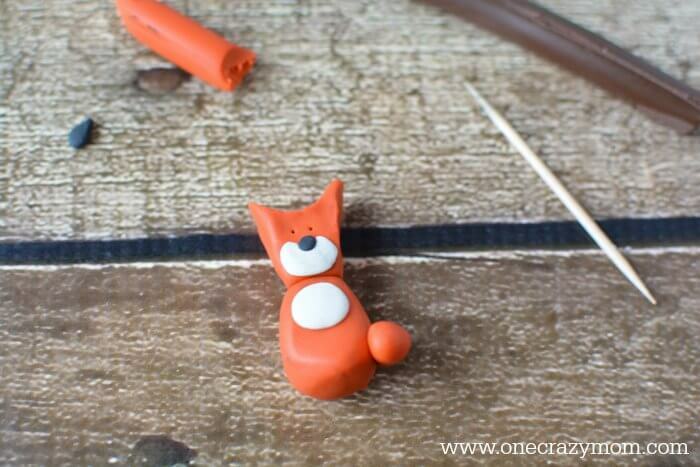 Flatten stray clay with your fingers. 2. Place a white face/belly onto the front of the black body and follow with small eyes and a yellow beak and feet. Place onto a white arctic iceberg on the jar lid. 1. 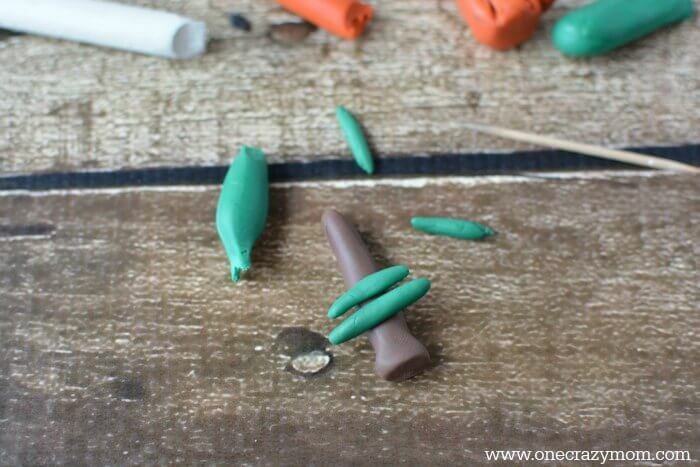 Start with two orange pieces of clay and shape as shown. Press head and body together and add a tail. Add a white face and belly. Use a toothpick to make front leg shapes. Add eyes and nose. 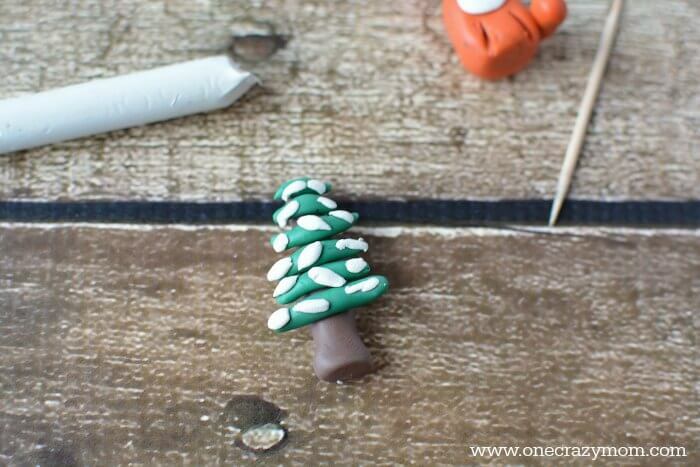 To make a tree, take a piece of brown clay and shape it into a trunk shape. 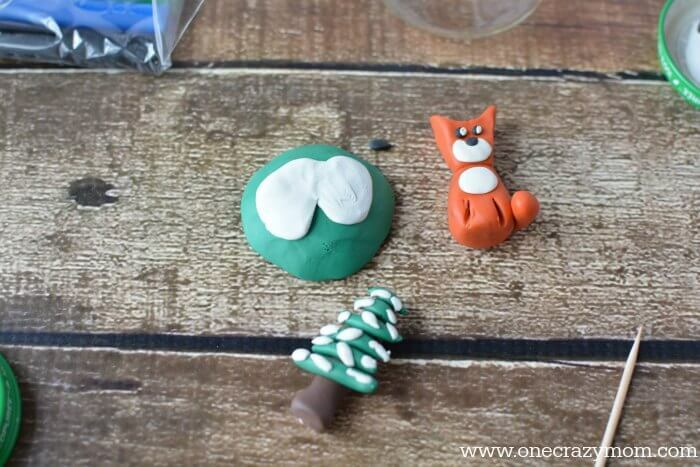 Roll green clay to make the tree branches and add pieces of white by ripping the clay and flattening it in your fingers before applying to the green boughs. Place the tree and fox onto a bed of grass covered with some white patches of snow. 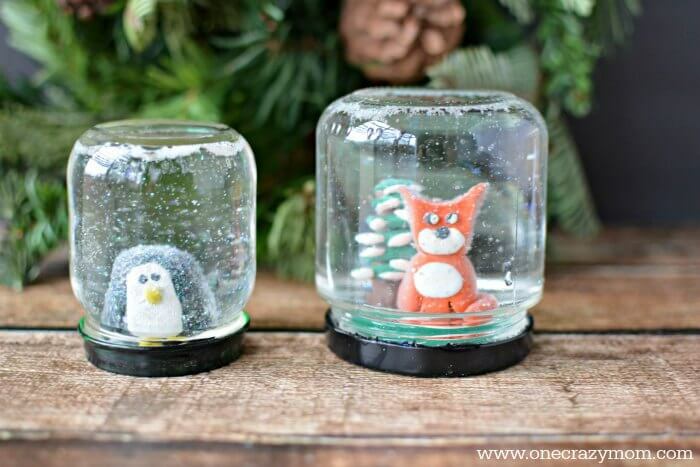 I think this Snow Globe Craft is so neat! Each snow globe will be unique and it will be so fun to see how each one turns out. If you have candle sticks or pedestals, you can display your snow globes on one of them for a little something special. I find these at the dollar store all the time! It would be so pretty to get several in varying heights to create a snow globe display. Turn the Christmas lights on, light a candle, bake some cookies and admire your handiwork. Now that you know how to make your own snow globe, I’m sure it will become a new tradition. I don’t know about you but my kids don’t remember a lot of what they received over past holidays and birthdays, but they always remember the fun activities we did together. Cherish those memories because truly it is the small things that are the big things! Enjoy each moment! Did you know you can also make Homemade Mod Podge? It’s SO easy!